Project Zawadi is thrilled to announce the addition of Ms. Judith Merinyo to our team. As the new Director of Educational Support, Judith joins our Tanzanian-based leadership team to offer ongoing support for PZ students in secondary and tertiary levels beyond Nyamuswa. 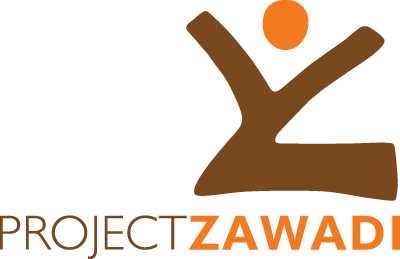 Ms. Merinyo’s specialty is coordinating the educational, logistical, financial, vocational and social-emotional support offered by Project Zawadi to our sponsored students. Since joining our team in August of 2017, PZ students have benefitted from Ms. Merinyo’s mentorship and deep knowledge of the various courses of study and associated vocational opportunities available in Tanzania. From securing students’ school forms and fees to being a compassionate and wise counselor, Judith is there to ensure Project Zawadi students transition successfully into their new schools and beyond, into adulthood. In 2012, Ms. Merinyo joined a research and evaluation project with the University of Minnesota. In her capacity as a leading qualitative researcher for this project, Ms. Merinyo worked closely with Tanzanian youth completing secondary school and transitioning into higher education and adulthood. Her mentoring, interviewing, analysis, organizing, translating, leadership and cross-cultural communication skills were so exceptional that she returned to this project for four consecutive years. Among the many researchers on that project was PZ Board member Laura Wangsness Willemsen, with whom Ms. Merinyo later worked on her dissertation research. Ms. Merinyo contributed significantly to both projects, and she distinguished herself as a compassionate and wise mentor to young Tanzanians, many of whom came from marginalized backgrounds similar to Project Zawadi students. Beyond her work with the University of Minnesota, Ms. Merinyo comes to PZ with many years of rich experience and training in the NGO, evaluation, education, research and health care worlds. She has worked in Kenya, Zambia and Tanzania with entities such as Agri-Finance Africa, World Vision and the Arusha Lutheran Medical Centre, where she most recently served as Education Coordinator for the Pan African Academy of Christian Surgeons Training Program. Ms. Merinyo holds diplomas from the Moshi University College of Cooperative and Business Studies and The Constitute College of Sokoine University of Agriculture in both Community Development (advanced diploma) and Cooperative Management. She has presented her evaluation work at conferences in the Netherlands and Tanzania. Ms. Merinyo lives in Arusha with her husband Jeff, and their two children, Joshua and Jeanelle. Originally from a farming family in northern Tanzania, her diverse educational, professional and life experiences offer Project Zawadi students a window into various possibilities to which they might aspire as they continue to pursue their own goals. We at Project Zawadi are grateful for Ms. Merinyo’s dynamism, passion and wisdom, and we look forward to seeing how PZ students’ lives are enriched by her leadership and service.